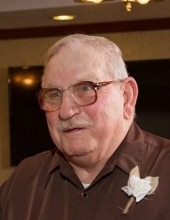 Michael W. Melvin, age 73 of Lincoln, passed away the morning of January 18, 2019 at his home. Born May 7, 1945 in Fairbury, NE. He graduated from Fairbury High School in 1963. He served in both the Air Force and the Army. Mike is survived by his loving wife, Karen; 3 sons; 1 daughter-in-law; 6 grandchildren; 1 sister and many friends. CELEBRATION OF MIKE’S LIFE: Saturday, January 26, 2019 at 1PM at Colonial Chapel Funeral Home (5200 R Street). To send flowers or a remembrance gift to the family of Michael W Melvin, please visit our Tribute Store. "Email Address" would like to share the life celebration of Michael W Melvin. Click on the "link" to go to share a favorite memory or leave a condolence message for the family.